Business users who rely on cloud storage providers like Dropbox and Box now have some improved tools in their collaboration arsenal, thanks to a set of integrations that Microsoft announced Wednesday. The real-time, co-authoring feature was already available for people who used Microsoft OneDrive and SharePoint. 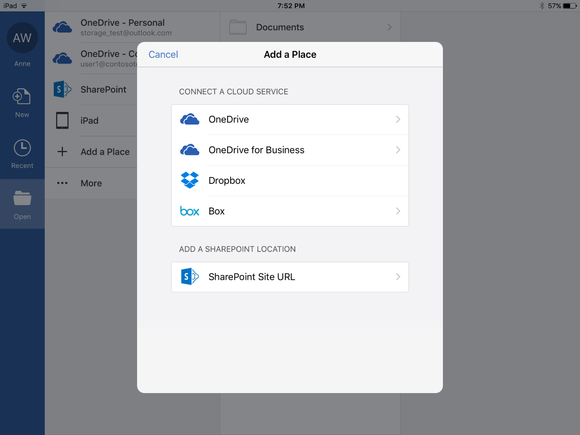 Office for iOS now supports directly opening files stored in Box, in addition to Dropbox, OneDrive and SharePoint. In addition to the Office Online support, Office for iOS now also supports editing documents directly from Box, following Microsoft's integration with Dropbox to provide that same functionality. 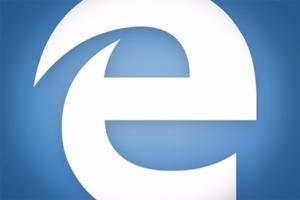 Other cloud providers, including Edmodo, Egnyte and ShareFile, will be following suit soon, according to Microsoft. That means users who store their files with those cloud providers will be able to access them from the relevant Office apps without having to jump through hoops. Finally, Microsoft also announced that Box and Dropbox will integrate with Outlook.com, so that users of those services will be able to send attachments that they have stored in the cloud either as traditional files or as shared links. It's a feature that will allow people to bypass the traditional limits on attachment size, if they need to share large files like videos. According to Box CEO Aaron Levie, the changes required a lot of work from Microsoft to make its systems work with other storage providers. Overall, he thinks that the new integrations are part of a larger trend in the cloud software-as-a-service market toward providing more and deeper open integrations between platforms. Wednesday's announcements are part of Microsoft's Cloud Storage Partner Program, which allows companies like Box and Dropbox to work with the tech giant and integrate their services with its productivity software. The move makes sense for Microsoft, since it's competing hard with Google in the real-time collaboration market, and not everyone is interested in storing their files in OneDrive or SharePoint. What remains to be seen is how deep any cloud storage integration will go within Microsoft's products. The company is currently working on making real-time co-authoring possible for SharePoint and OneDrive users inside the Office 2016 desktop applications, and already has a working integration for Word 2016. 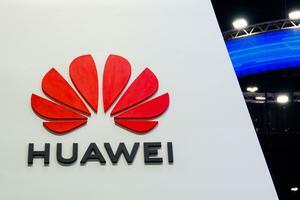 It will be interesting to see if that gets extended to other storage providers. Levis wasn't able to shed any light on Microsoft's plans, but he said that the company's strategy and the way the cloud market is going in general point toward a future where real-time co-authoring could be possible anywhere, regardless of what device someone is using. "It would certainly make sense that you’ll see more of a consistent experience no matter what the user endpoint is," Levie said.